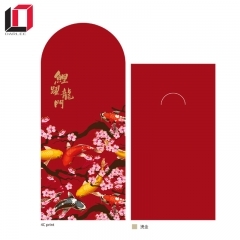 In the traditional sense of the red envelope is also called the New Year's money, it is a lunar New Year holiday when elders give children money with red paper. Is the Ming and qing dynasties, most New Year's money is with a red line string given to children. After the Republic of China, It has evolved into a parcel with red paper. 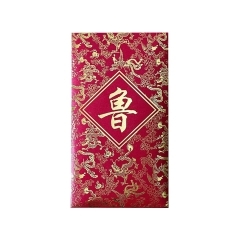 Now come wrappedmoney in red paper，when used for festive gift gift. And this also means bonuses or bribes other people's money. 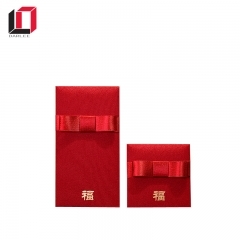 In Chinese cantonese area red envelopes is called money packet, a gift which made from money placed in the inside a red envelope. 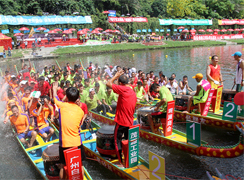 During the Spring Festival,By the elders in eve after zero points to the younger generation of red envelopes called New Year's money, is said to bring the blessings of a New Year and good luck to them. In China, one of the traditional custom is handing out red envelopes in the Spring Festival, parts area is married to the relatives and friends in the unmarried. 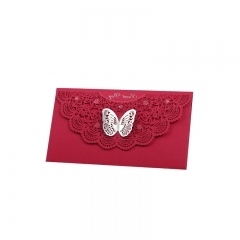 Red envelopes full of cash used to only commonly exists in comparison between close friends and relatives. There are parts of the New Year red envelopes full of cash scope more extensive, such as the younger generation in the neighborhood, the common friendship between colleagues are likely to send a red envelope, but this amount within the red envelopes tend to be small, red envelope put on 8 yuan (hair) and RMB 18 (to) on behalf of auspicious auspicious meaning! Seven continents, wherever there is Chinese, red culture is there. In foreign country, some with Chinese contacts with other ethnic friends, red envelopes to China traditional culture is also do regular, private, community, the company also pursues as instrument. 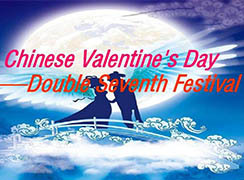 In addition to the Spring Festival, the other happy occasions, such as wedding, new store opening, etc. Also have the red envelope. 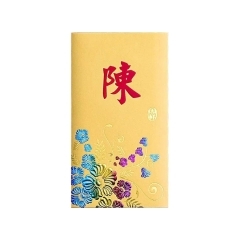 But relative to the Spring Festival is a red envelope, often expensive present the amount of red envelopes! 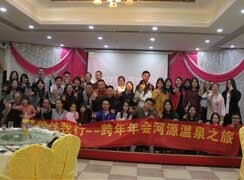 Handing out red envelopes to the younger generation of the minor (according to the concept of the Chinese married even if the adult), means to bring their wishes and good luck. 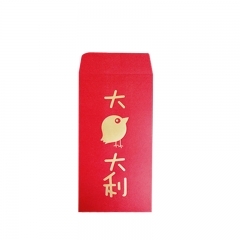 The money in red envelopes, just want to let the children happy, its main significance is in red paper, because it symbolizes good luck. 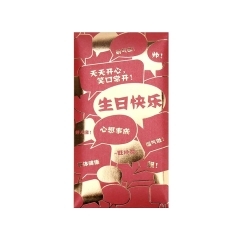 Therefore, in the presence of elderly dispatch red envelopes open the red envelopes, is bad manners. 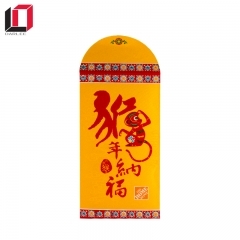 New Year Spring Festival, the elders to give the younger generation will be prepared New Year's money, it is said that money can pin the evil thing, because "old" and "special" homophonic, junior get lucky money can safely spend one year old. There are two kinds of New Year's money, by parents secretly placed under a child's pillow.